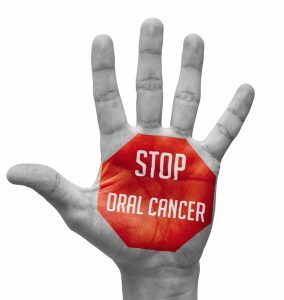 Oral cancer is a potentially fatal disease that can affect more than just the mouth. Read on to understand what it is, the symptoms, causes, and how to prevent and treat it. Oral cancer occurs when there is irregular cell division or growth that spreads to and damages surrounding areas. It encompasses cancers of the cheeks, floor or roof of the mouth, tongue, hard and soft palates, salivary glands, throat, tonsils, esophagus, sinuses and lips. With a 1-year survival rate of 81%, 5 year rates being 56%, and 10 year rates being 41%, early diagnosis and treatment are imperative. A diet lacking sufficient nutrients can weaken your immune system and potentially cause changes in your mouth that could lead to oral cancer. Sun exposure is a significant factor in oral cancer seen on the lips. Excessive alcohol consumption (three to four drinks daily) irritates the inside of your mouth, leaving you vulnerable to developing cancer. HPV (human papilloma virus), a sexually transmitted disease, can cause alterations in the mouth that can cause cancer. Smoking or chewing tobacco, and even second-hand smoke exposure, increases your chances of developing oral and other cancers. Tobacco use also increases chances of gum disease and tooth loss, so is best to be avoided altogether. Chewing betel quid, a mixture of areca nut, betel leaf and lime, a practice common in Southeast Asia is also linked with oral cancer, even when tobacco isn’t added. Get checked out: Once a year your dentist will conduct an oral cancer screening to thoroughly check your mouth, face, head and neck for any irregularities. Practice Self Care: Once a month, do your own oral cancer exam by looking underneath your tongue, along your cheeks, on the top and bottom of your mouth, at your gums, and your lips. Eat Right: Protect yourself by eating a diet rich in a variety of fruits and vegetables, especially those high in beta-carotene, like carrots, and cruciferous vegetables, like Brussels sprouts. Eat them raw, or just lightly steamed, to maximize their cancer preventing benefits. Avoid frying foods as this is found to produce cancer-causing substances. Avoid direct sun exposure and tanning beds and if that isn’t possible, wear a wide brim hat, use an umbrella, use broad spectrum sun protection and a lip balm with a SPF 15 or higher. Remember to reapply sun protection every two hours, and after eating or drinking. Limit alcohol consumption to one drink per day for women, and two for men. If sexually active, get the HPV vaccine, limit your number of partners, and use protection to prevent contracting HPV. Abstain from tobacco use – in any form. Keep mouth irritation at bay by brushing twice and flossing once daily, choosing alcohol-free mouthwash, and seeing your dentist if any dental work or appliances cause discomfort. If you have GERD, gastro esophageal reflux disease, commonly known as acid reflux, consult your physician to determine treatment. If your dentist sees a suspicious area, they will decide what type of biopsy is required. If the biopsy reveals cancer is present, surgery and chemotherapy or radiation therapy will be utilized to eradicate the disease. Your dentist can help manage any dental health complications that arise during and after these treatments.